IDD Therapy is a new technological advanced therapy that aims to target and relief pressure off painful disc conditions in the spine. Disc related problems are often caused by a herniated or slipped disc or prolapsed intervertebral disc (PIVD) and these are all common terms that many of us may have heard before. Disc protrusions or disc bulges or nerve root impingement are other terms that can also be applied. Our discs are made of an inner toothpaste-like substance which is mainly comprised of water (nucleus pulposus) and an outer fibrous wall (anulus fibrosus) made of collagen that surrounds and encapsulates the nucleus pulposus. 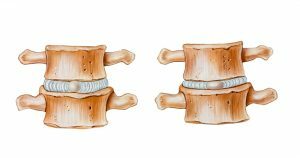 The spongy intervertebral discs absorb shocks and pressure from the load of our bodies and squash as we lean or bend in any direction. They stop the vertebrae rubbing against each other (bone on bone) and they create a space between the vertebrae. This space is very important because it allows the nerves to come out of the spinal cord. So, if this space becomes reduced nerves can become squashed or impinged (hence the term nerve root impingement). This is often relevant as we age when eventually our intervertebral discs begin to degenerate, desiccate and shrink (degenerative disc). A prolapsed or slipped or herniated disc is when the nucleus of the disc breaks through the outer disc wall. 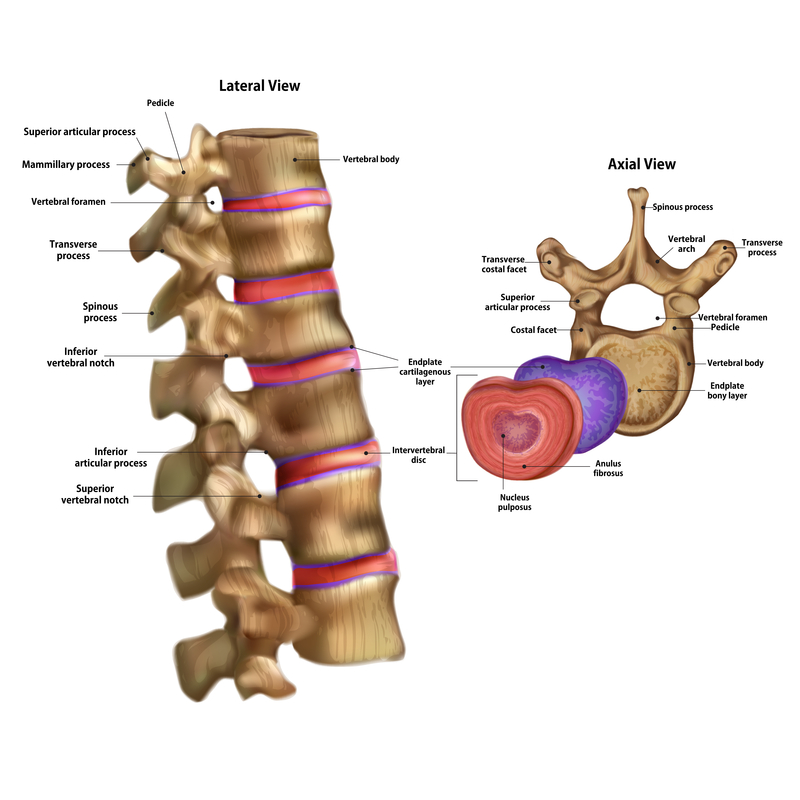 There will be a loss of disc height as the disc loses pressure and allied to this the nucleus material can press directly on to the spinal nerves causing pain. Or, the material of the disc nucleus may act as a biochemical irritant to the nerve in which case the result is the same … pain! 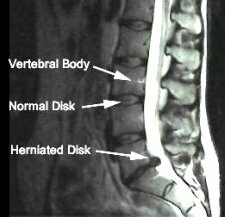 This MRI below demonstrates a herniated disc and a disc bulge pressing on nerves. The broad white descending line seen in the scan represents the spinal cord and departing spinal nerves. If you look carefully you can see the disc bulge and herniation making contact with these delicate structures. The resulting pain will often refer (hence the term radicular pain) down the pathway of a nerve and into the limb it innervates causing either sciatica (in the case of the lower back) or pain into the neck, shoulder and arm (if in the neck). This can often be accompanied with pins and needles in the foot or hand depending on this location. 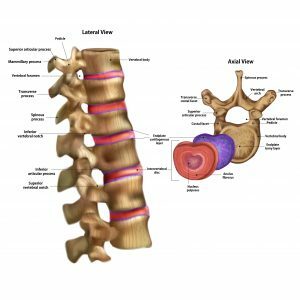 Disc issues usually occur in the same areas of the spine time after time because no matter who we are we are made the same way. 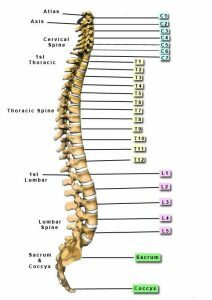 Each vertebra in the spine has number as you can see in the diagram. 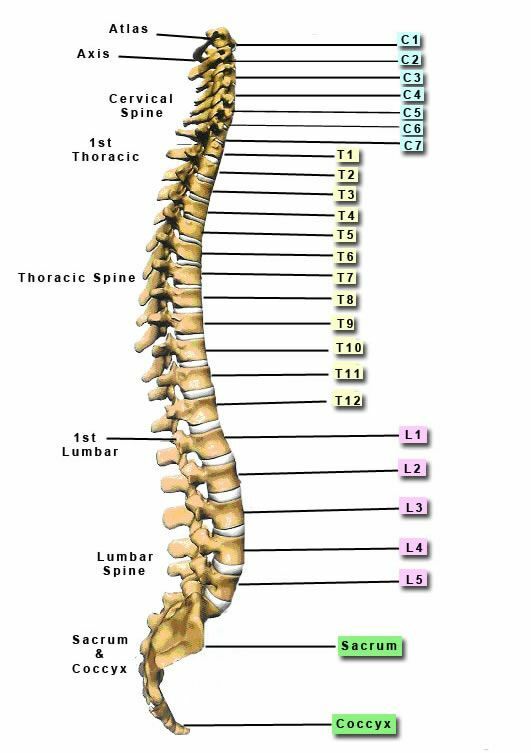 In the lower back or “lumbar spine”, the vertebrae are numbered L1 to L5. The chest or “thoracic spine” uses the letter T and is numbered T1-T12 and the “cervical spine” uses a C and is numbered C1-C7. 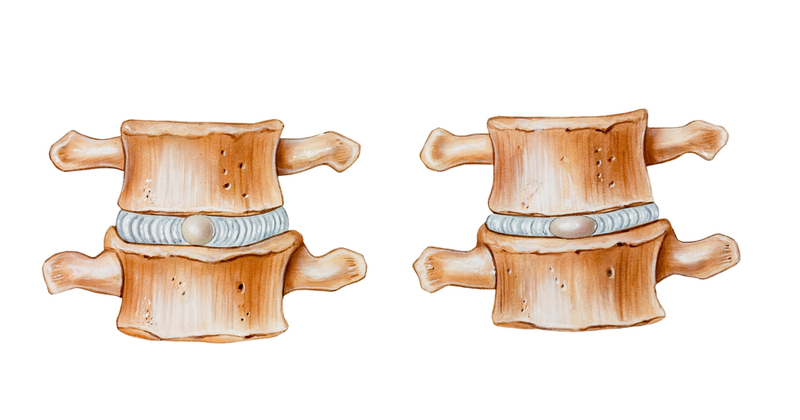 Slipped, herniated or disc bulges or protrusions usually occur at the bottom of lumbar spine at L4/L5 or L5/S1. These discs are the ‘shock absorbers’ at the bottom of the spine and support most of your upper body weight (which is two thirds of your total weight). 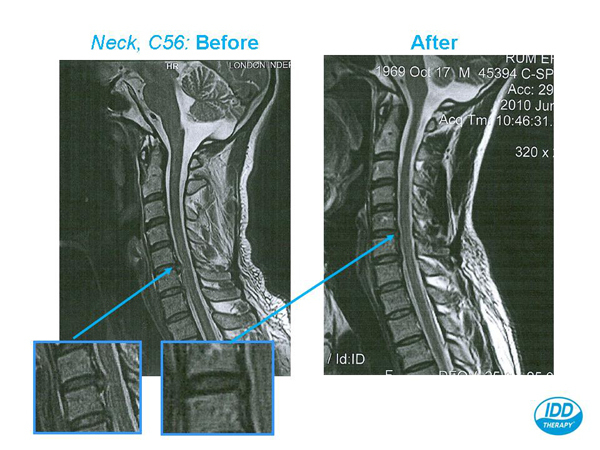 The discs at the bottom of your neck (much smaller than those below) which offer most support to your head are also equally the ones most likely to have similar related conditions at C4/C5 or C5/C6 or C6/C7. Often these complaints don’t resolve overnight and you will have experienced symptoms for some time. Furthermore, the options to treat these conditions may be limited. Pain killers and manual therapy usually offer limited pain relief. Many people may wish to avoid surgery because of its related risks. By contrast IDD is safe, non-invasive and effective. Research shows that patients with a herniated disc in the lumbar spine (with accompanying sciatica) show a good to excellent improvement with this mode of treatment in 86% of cases. When normal spinal function is impaired for some time, stiffness and immobility create a vicious circle of pain which leads to less movement, a reduction of fluid and nutrition flow around the disc, weakened muscles and stiff ligaments. IDD Therapy is a treatment tool which decompresses and mobilises targeted spinal segments using computer controlled pulling forces to restore function and enable the body’s natural healing mechanisms to operate more efficiently. Patients are connected to a SPINA machine via ergonomic harnesses. A waist harness acts like a pair of hands to grip the pelvis which is connected to a strap and a motor. A pulling force is applied at a specific angle to focus the pulling force at a desired level. It does this in a very controlled manner and has been shown to be able to open the space between two vertebrae. 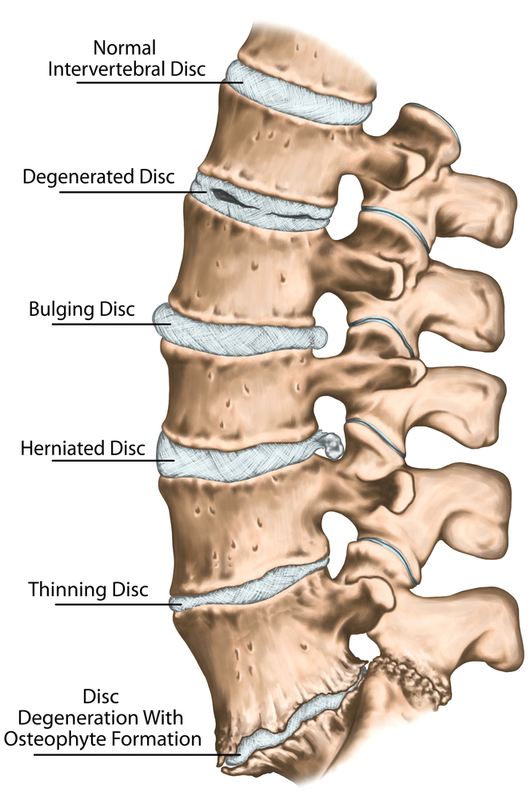 A treatment lasts for 25 to 26 minutes with 13 cycles where the joint space is opened and this creates pressure changes to draw fluid and nutrients in the disc space. The movement and pressure change may also help to retract a bulging disc taking pressure off nerves. There is also a mobilisation component and combined with the pulling force, soft tissues are gently stretched and worked to help free movement in the joint. A gentle stretch also relieves muscle spasm which can lock joints. So gently releasing tension can help with spinal mobility. Patients have a course of up to 10-20 IDD Therapy sessions in a six to eight-week programme. That sounds like a lot but when discs have not responded to treatment and or when pain has been present for months or even years, it takes time to break the vicious circle and for the body to heal and adapt. Pulling forces are progressively increased as treatment progresses. The forces which are needed to open the space between the joints are around half a patient’s body weight. The forces are far greater than can be applied with the hands which is why practitioners use IDD Therapy as a very specific tool. Whilst the forces sound high, our bodies support our entire weight and the action of the force is distributed around the targeted area. Many patients go to sleep during treatment. As treatment develops, practitioners incorporate simple exercises and some manual therapy as required in order to strengthen the movement of the joint as healing occurs. An MRI scan is required to confirm the level to be targeted and the nature of the condition and if you do not already have one we can arrange one for £199 and have the results in two weeks. At the same time, the MRI scan helps to rule out reasons why someone cannot have treatment, such as vertebral fractures. IDD Therapy is a key treatment for disc-related problems when manual treatments alone are not enough to get the change required.